Chuck Jeannes, CEO of Goldcorp, the world’s largest gold mining company by market capitalization, told the Wall Street Journal that miners have reached “peak gold” – a point where production has hit a high and easily-mined gold deposits are becoming harder to find. What might this mean for gold? Jeannes said a tumble in supply will help the gold price but also make mining even more difficult, possibly leading to more mergers between major gold mining companies in the industry. “Whether it is this year or next year, I don’t think we will ever see the gold production reach these levels again. There are just not that many new mines being found and developed,” he told the WSJ. In 1995, 22 gold deposits each containing at least two million ounces of gold were discovered, according to SNL Metals Economics Group. In 2010 there were six discoveries, in 2011 there was just one, and in 2012 there were none. Such a predicament is tough on the industry as a whole. Exploration and discovery of new gold deposits is expensive and involves a high amount of risk that little or nothing will come of it. Low gold discovery and production also means there are more mining companies competing for fewer deposits. The oil industry faces similar struggles when trying to increase production. Gold production has risen drastically over just the last few decades. It hit 2,270 metric tons last year according to the U.S. Geological Survey (USGS), and gold production in 1900 was just 17% of what it was in 2013. Jeannes believes that unless dramatic technological advances are made, gold production is unlikely to increase during his career. Other experts think it’s too difficult to predict. Michael George, a gold specialist at the USGS, pointed out that worry over the precious metal supply has been present since the California Gold Rush in the 1840s, and that steady demand for gold will ensure there will always be people willing to mine more gold. Jeannes called peak gold “very positive” for the long-term price of gold, but expects it to trade within a tight range for the time being. Scarcity is one of the many factors that give gold its value. Paper currencies do not have this property, since the government can always print more money. If mining companies are willing to dedicate so much time, money, and labor to finding new gold deposits, why shouldn’t you own gold to protect your own assets? Gold is a tangible asset that holds intrinsic value, and demand for it will always be present. You can even own it within your retirement account. Call American Bullion at 1-800-326-9598 to speak with one of our specialists about converting your existing IRA or other qualified retirement plan to a Gold IRA holding physical precious metals. We also offer bullion coins and bars for cash purchase. Invest in something real. 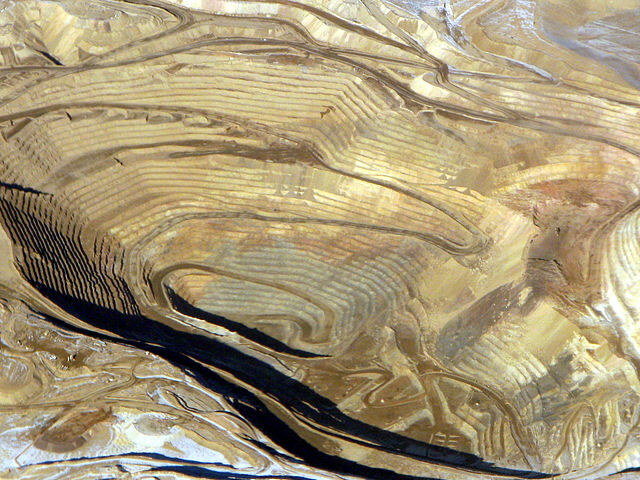 Mining analyst: "Gold will rebound, it always has and always will."